Got an old, but quality pair of speakers that take an RCA cable? These days, it can be difficult playing things over RCA, largely because a vast amount of our music is played over our smartphones. As you already know, smartphones don’t have an RCA port, which makes it difficult to send music from your smartphone to your RCA speakers. The good news is that there seems to be a hardware solution for everything, so don’t get rid of those RCA speakers just yet. With Bluetooth RCA Adapters, you can stream music off your smartphone straight to those old speakers. Here’s our top picks. 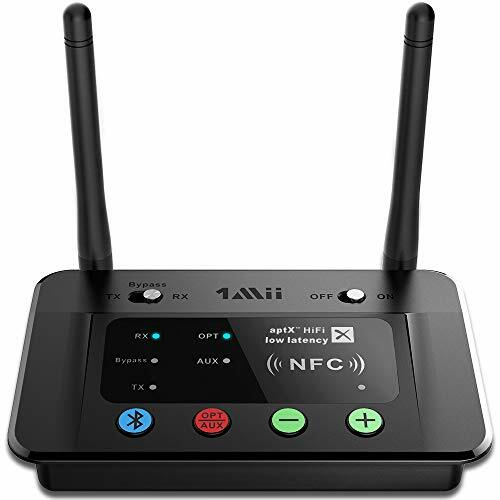 First up on our list is this long range Bluetooth RCA Transmitter by 1Mii. 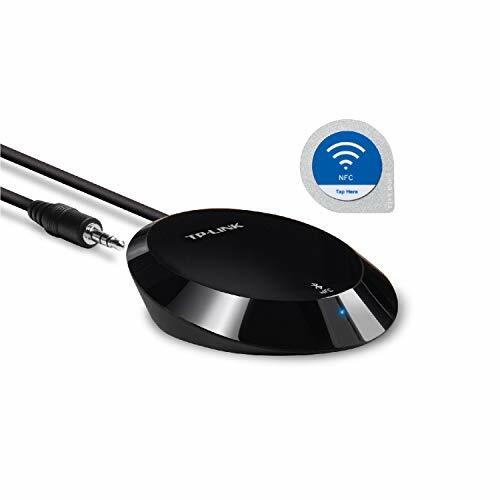 Plug the RCA cable from your speakers into this transmitter, and then connect your phone up by way of Bluetooth to this transmitter, and you can start playing all of your favorite tunes out of those old speakers. It works rather seamlessly, allowing you to connect up the two in seconds. One of the neat things about this transmitter is that it’s long-range, so you can be up to 230ft away from this transmitter and still play music without a whole lot of interference. The adapter has a whole lot of other connections you can use it for as well, such as 3.5mm, digital optical, and more. 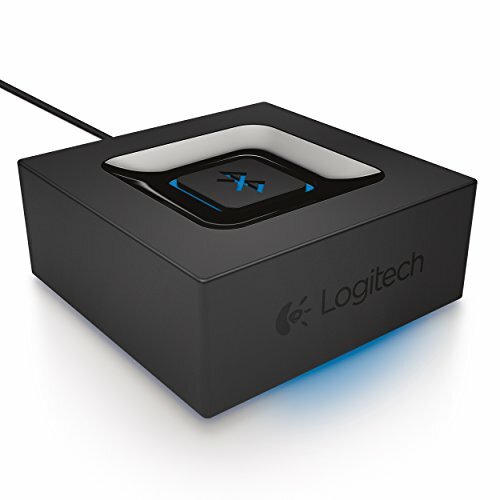 The Logitech Bluetooth Audio Adapter is another excellent choice for streaming music to your old RCA speakers. The idea is generally the same — use the RCA cable coming from your speakers, plug it into the Adapter, and then connect up your smartphone to it by way of Bluetooth and start playing your music. It’s that simple. 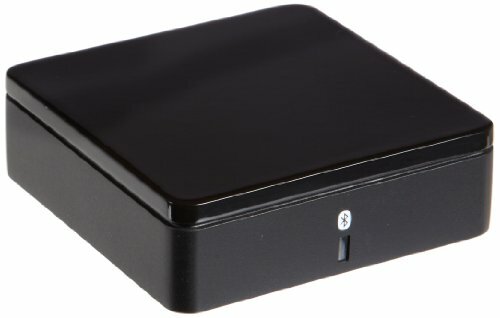 The downside is that it isn’t a long-range adapter, so you’ll have to be within 33ft to play music over wireless; however, it does support Bluetooth multipoint connectivity, which means you can connect up multiple Bluetooth devices to the adapter to play music from whichever one is most convenient. 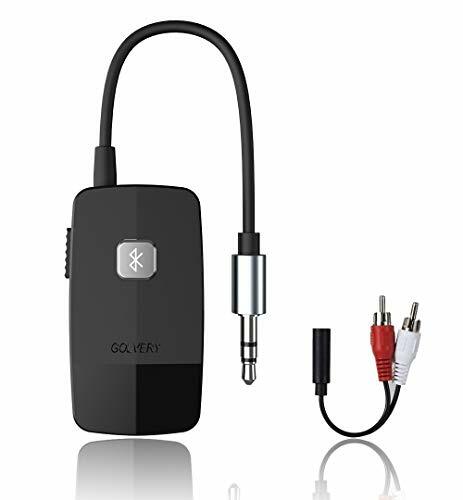 The Golbery Bluetooth Receiver is a more low profile device for your RCA speakers. It comes with a 3.5mm aux cord attached to it, but has an adapter for AUX to RCA. Once your speakers are connected up, press a button on the hardware, and you should be able to see the Bluetooth signal with your smartphone. Connect up, and you can start streaming all your favorite music from your smartphone locally, Pandora, Spotify, you name it. This one works really well for car kits because of its sheer portability as well. AmazonBasics offers its own Bluetooth 4.0 Audio Receiver for folks that don’t want to drop a ton of cash on a piece of hardware. Despite its cheap price point, thousands of reviewers say this works really well. Functionally, it works the same as the other RCA adapters we mentioned on this list, but once again, it isn’t a long-range adapter, so you’ll have to stay within 33ft to keep your music uninterrupted. 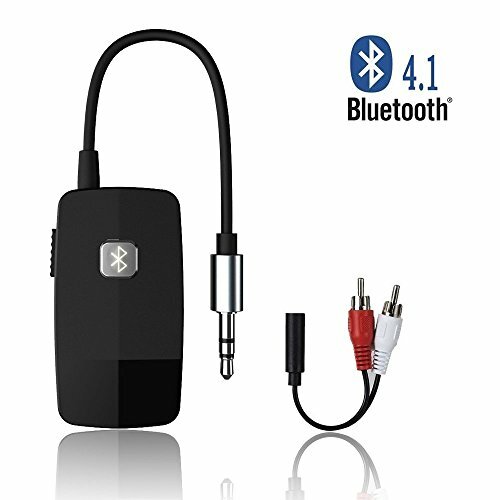 One of the neat things about the AmazonBasics Bluetooth 4.0 Audio Receiver is that it’s all plug and play. Plug the RCA cable in, pair your smartphone, and you’re ready to start playing music out of your old speakers. At $20, this is a cheap and easy way to take advantage of those old speakers instead of throwing them out. TP-Link is another prolific brand that makes a great RCA adapter. The Bluetooth 4.0 Audio Receiver from TP-Link is well reviewed, and banks a lot on its portability and low profile. This RCA Adapter is essentially a small disc that you plug your RCA cable into. When you’re ready to pair, simply press the button and find it in your Bluetooth list on your phone. It’s small, but it packs a ton of technology — enjoy HiFi tech, giving you excellent sound reproduction. 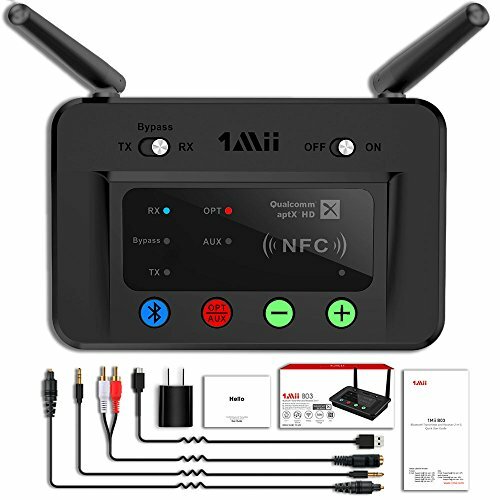 You can also connect up multiple Bluetooth devices to it for convenient audio streaming. This one actually lets you be up to 66ft away before the signal starting experiencing interruptions. As you can see, a good RCA adapter can turn those old RCA speakers into a piece of modern technology. RCA speakers might be old (and some are still made today, but with more connections), but they can still produce some high quality music. That’s not something you want to throw away, so a cheap adapter will let you continue to take full advantage of it.